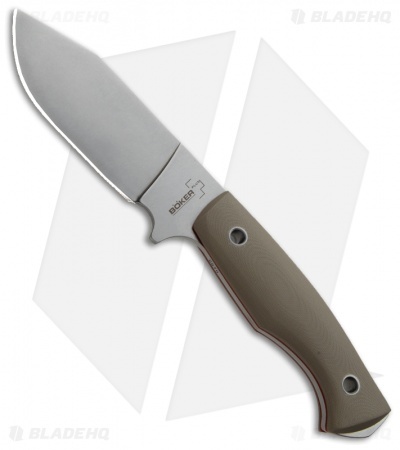 One of the most popular outdoor and camping knives is the Jesper Voxnaes designed Rold model. The sleek design, which is characterized by extreme practicality and high quality materials, has proven itself many times since its first production. The Rold Scout has a blade length of 4.69" and a thickness of 4mm, and it is a slightly slimmer and more compact version of the popular all-rounder. The blade is also made of D2 with a stonewash finish. Sand-colored G10 scales with red fiber layers provides a good grip and a visual accent. 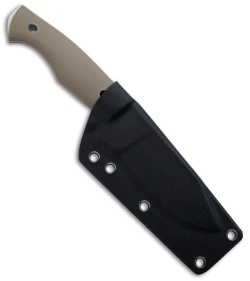 This knife comes with a Kydex sheath and belt clip.